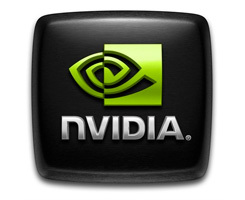 On this page you can download Nvidia GeForce 301.42 WHQL WinVista 7 64bit. This is the first WHQL-certified unified driver from the R300 family of drivers (versions 300.00 to 301.99). We have a discussion topic open on these drivers right here. NVIDIA FXAA Technology – shader-based anti-aliasing technology available from the NVIDIA Control Panel that enables ultra-fast anti-aliasing in hundreds of PC games. FXAA delivers similar quality to 4x multi-sample antialiasing (MSAA) but is up to 60% faster, enabling substantially higher performance in games. FXAA is supported on all GeForce 8-series and later GPUs. Note: This feature is disabled for games that already have built-in support for FXAA. Visit GeForce.com to learn more. NVIDIA Surround Technology – Adds the following new Surround capabilities.Visit GeForce.com to learn more. Add in a fourth accessory display with GeForce GTX 600-series to get access to your email, web, or other applications while you game. Enable bezel peeking – a feature which enables users to temporarily peek behind the monitor bezels using a hotkey (Ctrl + Alt + B). This feature is designed to be used in conjunction with bezel corrected resolutions. World of Tanks – changed rating to Excellent. Supports DisplayPort 1.2 for GeForce GTX 600-series. Note: If you have problems downloading Nvidia GeForce 301.42 WHQL WinVista 7 64bit, please try to stop using your download manager and avoid right clicking on files. Also, check your firewall settings, because some mirrors may require that you do not block the HTTP referrers.